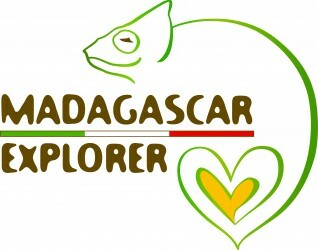 The Tour of the South is one of the most attractive itineraries in Madagascar leading from Antananarivo to Toliary along the RN 7 (Route Nationale); a several driving day tour which brings you through various different regions to discover the rich and diverse culture, admiring unique natural beauty. The tour starts in the Highlands and crosses regions of diverse ethnic groups including the Merina and Betsileo who are well known for their traditional but outstanding cultivation techniques: rice fields on the plains or carved in terraces on the mountain-sides. You will visit interesting small towns, such as: Ambatolampy, a huge agricultural village, also widely known for the handicraft manufacturing of aluminum articles; Antsirabe, with its large and tree-lined boulevards, crossed by the "posy" (rickshaws); Ambositra, the "capital" of the precious woodcraft that you can see in several shops; Fianarantsoa, the best starting point for tours to Ranomafana National Park; Ambalavao, a big gathering centre for herds of zebu coming from the south. Further on you will see granite massifs contrasting with the Great Plains down to Ihosy, the chief town of the region of the Bara, a fierce zebu breeding people. From there you come to the vast Horombe savannah interrupted only by the calcareous massif of the Isalo National Park with beautiful landscapes; luxuriant forests full of lemurs and canyons, gorges, natural pools. Further south, you will admire the big savannah baobabs and those in the Zombitse-Vohibasia National Park tropical forest, and then the semi-desert bush characterized by a wild and beautiful, thorny vegetation, of great naturalist interest, typical of the Malagasy south. In the last part of the tour, you will reach Toliary, on the shores of the Mozambique Channel. Antsiranana stands around a beautiful bay, one of the greatest in the world, in the northern part of Madagascar. The economy of Antsiranana is based on trading activities as it is also the location of the third largest harbour in the country that welcome big fishing boats. On the East coast you can explore gorgeous bays, which are entirely deserted and protected by the rocks, with perfect blue turquoise waters. Along the coast lay beautiful unspoiled islands. Further inland, you can visit the Amber Mountain National Park, very attactrive for its luxuriant vegetation, rivers and lakes and the Ankarana National Park with its spectacular caves and unique rock formations: the Tsingy, high pinnacles which make those places almost impassable, preserving their natural condition; then the Baobab Forest. The east coast is the most luxuriant of the whole regions of Madagascar. This is due to the high rainfall throughout the year. As a result, the eastern coast offers rich and extraordinary vegetation including the following: Ravinala Palms also known as the “Traveler’s tree”, coconut palms, beautiful flowers, perfumed essences and spices, ferns and all kinds of tropical plants. The itinerary goes from the capital to the coast of Toamasina, through the Pangalana channel. It provides a fascinating journey. On the way back to the capital, stop at Andasibe Reserve which is home to the largest lemur “Indri-indri”. Mandrare River Camp is located about 110Km northwest of Taolagnaro in the Southeast coast of Madagascar. It stands in the shade of tamarind trees on the bank of the Mandrare River. The camp provides a breathtaking view over the river. A wide range of endemic fauna and flora including the famous Ring Tailed lemurs, the Sifaka also known as the dancing lemurs, variety of birds, will fill your days during the diurnal and nocturnal visits to the sacred forest. To make your stay even more memorable, you will be welcomed and interact with the local people who are always happy to perform traditional dances while you are there. Mandrare River Camp is the best place for those interested in wildlife and culture! !